It is beyond the scope of this article to explain the entirety of plumbing to you. However we can delve into the science a little of one of the concepts that you might hear mentioned regularly: ‘water pressure’. What precisely is water pressure? And how can water pressure prevent your heating from working? In case you don’t know the mechanics behind the concept of pressure, it can be explained quite simply as the natural tendency for things to ‘spread out’ and fill any vacuum. If you pour water onto a plate it doesn’t ‘pile up’, but rather spreads out to cover the surface of the plate. This is even more true for gas (because gas particles aren’t connected) which will spread out to fill a room. When particles are packed tightly into a space this is called ‘high pressure’, and when particles are spread out fairly evenly through a space, this is called ‘low pressure’. Now what happens when a high pressure area comes into contact with a low pressure area, is that all the particles in the high pressure area rush out to fill the low pressure area until the two are the same and everything is evenly spread. This is ‘equalisation’. This also happens to be why everything gets sucked out of a plane if there’s a breach in the hull, and it’s also how a vacuum cleaner works – by creating an actual vacuum. So what does this have to do with plumbing? 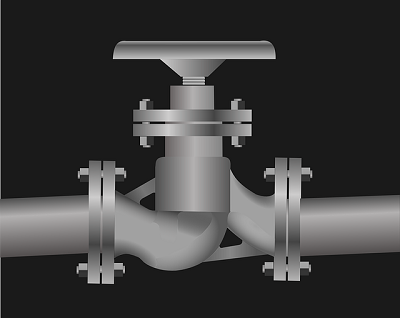 Well essentially all the pipes that make up your plumbing are a closed system, meaning that the pressure is maintained inside them. This is why all the water ‘spurts out’ if you get a hole in one of the pipes. By altering the pressure in various chambers by adding or removing air or water for instance, you can then get the water to move into the desired areas. This is why radiators sometimes need ‘bleeding’ – you need to remove the air from them in order to create the vacuum that the water can then move to fill. So when your system ‘loses pressure’ this essentially means that no part of the system is packed with enough air or water in order to be able to push the rest of the water around. This is what can prevent well water pumps from getting the water to your taps for instance. Meanwhile if there’s too much pressure building up, this can cause noises in your radiator and also prevent the water from flowing properly. We Have Been Serving all of Connecticut for over 35 years. Give Us a Call Today! and can help with all your water and sewage requirements.